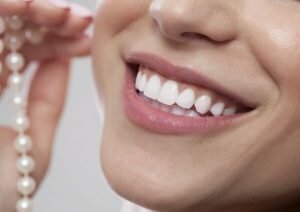 Cosmetic Dentistry | Dr. Sheetal Sachdeva B.D.S. Cosmetic dentistry centres on improving and enhancing the appearance of your teeth and smile. Our dental team provides high-quality cosmetic dental services while offering excellent value for your money. We are here to assist you every step of the way to your desired outcome, paying attention and comprehending your needs before discussing treatment options. Dentofacial aesthetics address issues concerning the entire face. Just because you had one part of your face treated doesn’t mean it suits your facial appearance. Your dentist will help you with cosmetic procedures that satisfy your facial symmetry. Have you been embarrassed about your yellow or stained teeth? Do you have a hard time finding a job, a friend, or even a romantic partner? Teeth whitening is for you! Teeth whitening can enhance the appearance of your smile, boost your confidence and help maintain a positive outlook in life. We offer the latest technology in teeth whitening treatments–Philips Zoom Advanced. Zoom whitening is a comprehensive, safe, effective, and instant teeth whitening procedure. To learn more about our teeth whitening system, visit our dental clinic! Do you have stained, chipped, gapped, or broken teeth? Ceramic veneers may be the best option for you! Dental veneers are constructed from composite materials or porcelain. Porcelain resists stains better than resin and looks more natural. On the other hand, resin veneers are thinner and require removal of less of the tooth surface before they are placed. Are you ready to transform your smile with ceramic veneers? We create high-quality ceramic veneers for your amazing smile makeover. If you are planning to change your smile with ceramic veneers, book an appointment with us today. CEREC, which stands for CEramic REConstruction, is a dental technology, which allows Dr Sachdeva to produce a restoration like a crown or a veneer in a single sitting, rather than the multiple visits required with earlier techniques. Dental bonding enhances the appearance of your smile by fixing stained or chipped teeth. It is an excellent option for replacing unsightly amalgam fillings. The dental bonding process is painless, simple, and minimally invasive. Dental bonding only requires minor alteration to the original structure of your tooth compared to crowns and veneers; thus, preserving the tooth’s health and form. Dental crowns, usually made of ceramic or a metal base covered with a thin layer of ceramic, are cosmetic devices used to cover tooth abutments or dental implants and act as an artificial tooth surface. This restoration matches the colour of your teeth giving the decayed tooth a normal, healthy look. Crowns for the teeth in the back of the mouth may be made of gold. Tooth fillings are usually restorative materials but can also be used in cosmetic procedures. They are used to replace the parts of the teeth that have been worn off due to due or injury. White fillings look like your natural teeth. If you are planning to enhance your smile with cosmetic procedures, call us at (03) 9800 2338. We are located at 87 Stud Road in Wantirna South. We will attend to you with utmost urgency and care.